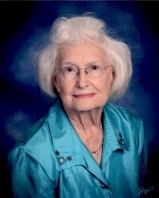 Longtime resident of Ft Myers Dr. Betty C. Hobbs passed from this life on July 13, 2018. Betty was born January 20, 1933 in Baxley, Georgia. On a summer break from college in Texas, Betty met the love of her life Tom Hobbs. Betty and Tom moved to Fort Myers in 1952, where Betty became a member and Sunday School Teacher for First United Methodist Church. Ever in service to her community Betty became Dr. Betty Hobbs and worked both as an educator and administrator for Lee County Schools. She was also a lifelong member of Beta Sigma Phi sorority. Betty is survived by her husband Thomas O. Hobbs, son Thomas W. Hobbs, daughter Betty Lou Pentaude (William) She is also survived by 4 grandchildren and 7 great grandchildren. The family will have a gather at Harvey Engelhardt Funeral Home on Thursday July 19, 2018 at 9:30 AM. The service will commence at 10:00 AM. A private internment will take place after the service.